Monarda didyma is highly attractive to hummingbirds, honeybees and butterflies, as well as providing weeks of colorful blooms each summer and early fall. Learn more! Monarda is a great way to invite hummingbirds to any garden landscape naturally. Relatively easy to grow, with large, colorful flowers, it is no secret why this herb is popular in wildlife friendly gardens. Botanical and Common Name – Monarda didyma goes by the common name Bee Balm, but is not the only plant to do so. Monarda is also called Oswego Tea Plant because of the East Coast Oswego Indian tribe that used the leaves to brew tea. Other common names include Firecracker Plant, because of the flower shape, and Bergamot, because of the plant’s use as an herb. Gardeners are encouraged to look for the scientific name to make sure they are getting the right plant. Plant Category – Monarda didyma is an herbaceous perennial plant. Other monardas may not be as hardy so be sure to check the plant’s scientific name carefully. Bloom Time and Color – Large, summer flower clusters appear in red, pink, purple or white colors depending on which bee balm cultivar you select. Foliage – A member of the mint family, Oswego tea has fragrant foliage. The toothed, lance-shaped leaves are still sometimes used to flavor tea, salads and other culinary dishes. Growth Habit – Monarda has an upright, clump-forming growth habit. Dimensions – The majority of Monarda, and the native growing species plants, grow 2-4′ tall and wide; however cultivars and hybrids exist that grow anywhere from 9 inches to 5 feet tall. Preferred Conditions – Zones 4-9. Monarda grows best in moist, well-drained soil in full sun or part shade. Overcrowding the plants can lead to disease problems. Maintenance – Monarda is a hardy perennial plant that will spread in favorable conditions through rhizomes or self-seeding. Pruning or division may be necessary every 2-4 years to control spread. Many gardeners will also prune the plant back after flowering if the plant becomes ragged looking. Deadheading spent monarda blooms can encourage a longer flowering season as well. Pests or Diseases – Powerdery mildew is the most common problem for bee balm plants and is usually a sign of drought-stress or overcrowding and lack of good air circulation. Evenly moist soil is almost a must for mondarda plants to prevent stressing out the plant. Rust is another disease problem for some monarda plants and can be worse if the foliage is frequently wet when watering. 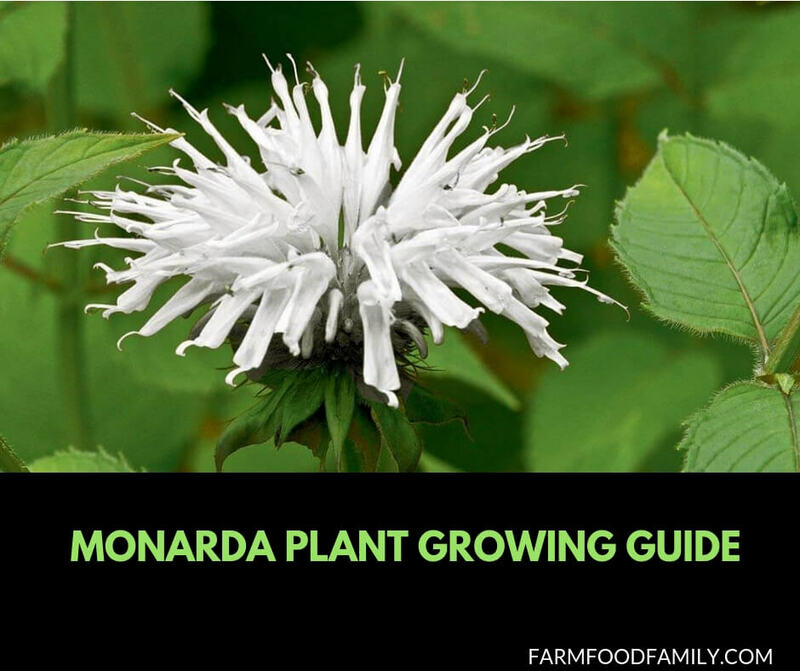 Propagation Methods – Monarda is easy to grow from sowing the seeds freely outdoors, planting divisions or purchasing healthy plants and setting out directly into the landscape. Companion Plants – Combine monarda with plants commonly used in butterfly gardens, hummingbird gardens or cottage gardens since they all combine well with bee balm in various landscape situations. Seasons of Interest – Monarda provides three seasons of interest in the garden landscape and, as the plant is frost hardy, usually lasts well into late fall. Summer blooms last for many weeks making it a real work-horse in the garden. Uses in the Garden – Bee balm is popular for attracting hummingbirds, bees and other wildlife so should be a plant to consider for a hummingbird garden. Monarda is also a native wildflower in many areas of the United States making it a great choice for more wild garden areas, especially wet ditches or creek beds. A dwarf monarda selection, ‘Petite Wonder’ is a clear, bright pink flowering plant that only grows 9-10 inches tall. Lighter pink in color than ‘Petite Delight’ but both are mildew resistant. A purple or blue flowering monarda that grows 4-5′ tall. A bright red monarda that is mildew resistant, this popular cultivar grows 3-4′ tall and has large, red colored flowers. A nearly pure white flowering monarda, ‘Snow White’ can reach 2-4′ tall.